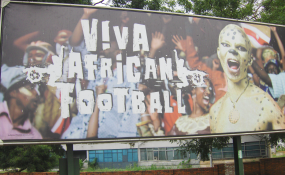 Cameroon's stripping of the 2019 Africa Cup of Nations (Afcon) hosting rights last Friday chimes with past decisions by the Confederation of African Football to change hosts barely six months to the competition. This is not the first time Caf has withdrawn the coveted tournament from a country for failing to meet the set requirements. With Harambee Stars having qualified for next year's edition, Nation Sport looks at previous editions of the biennial tournament where the hosts suffered the same fate as Cameroon. Libya lost the rights to host the 2017 Afcon following surging fights in the North African country. The oil-rich country was hit with civil unrest after the overthrow and assassination of President Muammar Gaddafi in 2011. This led to delay in construction of new stadiums hence Gabon went on to host the 16-team tourney that was won by Cameroon who beat Egypt 2-1 in the final. Morocco, who were scheduled to host the event, demanded postponement of the competition because of an outbreak of Ebola virus in West Africa but Caf stripped them of the rights and moved the tourney to Equatorial Guinea. Ivory Coast won their second Afcon title defeating Ghana 9-8 on penalties after a goalless draw in extra time. It's at this event that hosts Equatorial Guinea came fourth but there was no chance for the then defending champions Nigeria who didn't qualify. Libya once again lost the rights to South Africa due to civil war in the country. They swapped with South Africa with hopes of hosting the 2017 tourney should normalcy resume in the country. It was during this tourney that the competition was changed from even to odd years. Zimbabwe controversially lost the hosting bid to Ghana and Nigeria after Caf said it was not convinced that the new stadiums will be ready by the time the event kicks off. Cameroon won the championship by edging out Nigeria in the final. The South African country later bid unsuccessfully for the 2004 finals which were held in Tunisia. The 20th edition of Afcon was to be hosted by Kenya but Caf handed South Africa the hosting rights due to the former's non-compliance. This was the first time the competition was expanded to 16 teams split into four groups of four. Nigeria pulled out at the final hurdle under pressure from then dictator Sani Abacha leaving 15 teams. South Africa won its maiden Afcon title after thumping Tunisia 2-0 in the final. Recently Caf stripped of Kenya's hosting rights for the 2018 Africa Nations Championships that was staged in Morocco in January. To stop this worrying trend, Caf needs to ensure countries that bid for these events have enough resources, government goodwill and infrastructure to host the tournament. They should also follow up on the progress more often to avoid such inconveniences that end up affecting many businesses. South Africa and Morocco have been touted to replace Cameroon as hosts for the 2019 tourney.